SkinCeuticals® provides complete skin care solutions through dermatologists, plastic surgeons, medi-spas, and other skin care professionals in the United States and in over 35 countries worldwide. The SkinCeuticals mission is to improve skin health. Dedicated to this purpose, they make one simple promise – provide quality products backed by science. This dedication to developing advanced skincare backed by science has earned SkinCeuticals a strong reputation with the medical community worldwide. 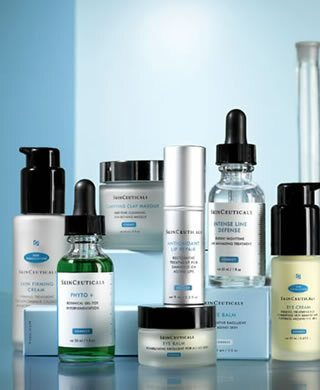 SkinCeuticals provides complete skincare solutions through dermatologists, plastic surgeons, medi-spas, and other skincare professionals in the United States and in over 35 countries worldwide. SkinCeuticals products are the culmination of over a decade of research on aging skin. A pioneer in topical Vitamin-C, SkinCeuticals offers products, which contain some of highest levels of antioxidants available. SkinCeuticals also offers the state-of-the-art broad-spectrum sunscreens, moisturizers and alpha hydroxy acids, all designed to improve the appearance of even the most environmentally challenged skin.